Total summer feels with this super cute blouse! 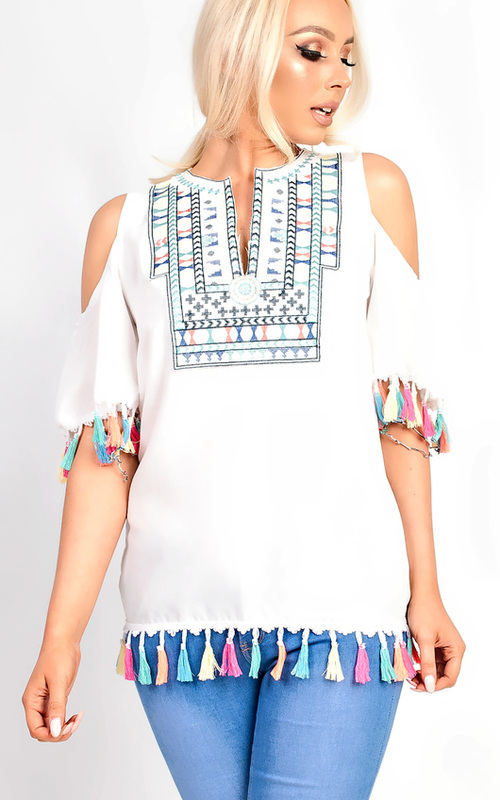 Featuring an aztec pattern, cold shoulder style and tassel details. Style with white denims and killer sandals for that glam summer look!